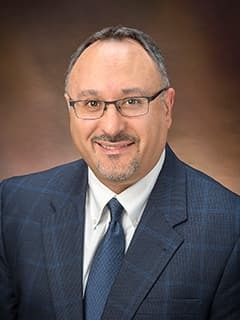 Hamid Bassiri, MD, PhD, is an attending physician in the Division of Infectious Diseases at Children's Hospital of Philadelphia. Mechanisms of tumor immune surveillance and ways to harness the activity of innate lymphocytes for cellular cancer immunotherapy. May Rebecca M, Okumura Mariko, Hsu Chin-Jung, Bassiri Hamid, Yang Enjun, Rak Gregory, Mace Emily M, Philip Naomi H, Zhang Weiguo, Baumgart Tobias, Orange Jordan S, Nichols Kim E, Kambayashi Taku: Murine natural killer immunoreceptors use distinct proximal signaling complexes to direct cell function. Blood Feb 2013 Notes: Epub ahead of print Feb 13 2013. Das Rupali, Bassiri Hamid, Guan Peng, Wiener Susan, Banerjee Pinaki P, Zhong Ming-Chao, Veillette André, Orange Jordan S, Nichols Kim E: The adaptor molecule SAP plays essential roles during invariant NKT cell cytotoxicity and lytic synapse formation. Blood Feb 2013 Notes: Epub ahead of print Feb 21 2013. Bassiri H, Wood J: Tetanus. The 5-Minute Pediatric Consult. M. William Schwartz (eds.). Wolters Kluwer, Lippincott William Wilkins (Philadelphia), 6th Edition: 866-7, 2012 Notes: ISBN 978-1451183382. Bassiri H, Wood J: Smallpox. The 5-Minute Pediatric Consult. M. William Schwartz (eds.). Wolters Kluwer, Lippincott William Wilkins (Philadelphia), 6th Edition: 806-7, 2012 Notes: ISBN 978-1451183382. Bassiri H: Anaerobic infections. The 5-Minute Pediatric Consult. M. William Schwartz (eds.). Wolters Kluwer, Lippincott William Wilkins (Philadelphia), 6th Edition: 42-3, 2012 Notes: ISBN 978-1451183382. "Invariant natural killer T cell-based immunotherapy for lymphoma", University of Pennsylvania, Philadelphia, PA, April 2015. "Hot Topics in Pediatric Infectious Diseases: Measles, Influenza, MRSA" University of Pennsylvania School of Nursing Preceptor Event , March 2015. "Emerging pediatric infections: Enterovirus D68, Ebola, and Influenza" Delaware Valley Chapter of the National Association of Pediatric Nurse Practitioners, November 2014. "Fever and Rash Syndromes", "Evaluation and Diagnosis of Primary Immune Deficiencies", "Fever of Unknown Origin", "Fever and Neutropenia" American Austrian Foundation Open Medical Institute lecture series, June 2014. "Mechanisms of invariant natural killer (iNKT) cell control of T-lymphoma" Pediatric Academic Societies, May 2014. "Mechanisms of invariant natural killer (iNKT) cell control of T-lymphoma" Eastern Society for Pediatric Research, March 2014.